Available At: Amazon, Barnes & Noble, iBooks, Kobo, etc. With any great change, there is always strife, and the Covenant University has become the frontline between pure-bloods who want the Breed Order reinstated and the half-bloods who want the right to control their own destinies. The violence is escalating and war between the races seems inevitable, and it couldn’t come at a worse time. Hyperion may be out of commission, but Josie and Seth know they have only earned a reprieve. Seth must get Josie fully prepared, which means controlling her newfound abilities, and they need to find the other demigods before the Titans do. But the gods are sensing a greater threat. Only one thing is more dangerous than a bunch of starved Titans, and that’s an out-of-control Apollyon. The aether in Josie is drawing Seth in deeper, and when lust mixes with love and gives way to power, he knows being close to her is not only dangerous to her, but to everyone around them, but letting her go requires a level of selflessness that just isn’t Seth’s style. The paths taken in the past are becoming the roads of the future. Just as chaos breaks out, familiar faces from the past return, complicating the already strained bond between Josie and Seth, and when the danger from the Titans erupts with devastating consequences, the dark allure of power calls to Seth again, but this time Josie might not be able to pull him back. And when the struggle between power and love becomes the deadliest battleground, there may be no salvation. 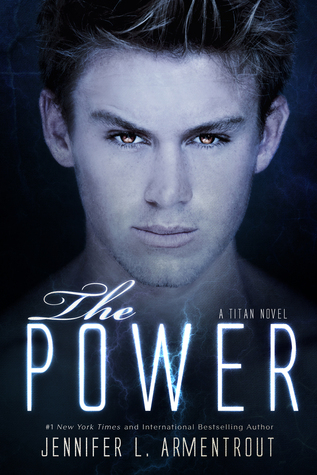 I freaking loved “The Return,” so I’m beyond ecstatic to read the continuation of Seth and Josie’s story in “The Power!” And I absolutely cannot wait to receive my paperback copy of the book in the mail, which I sincerely hope will be very soon! 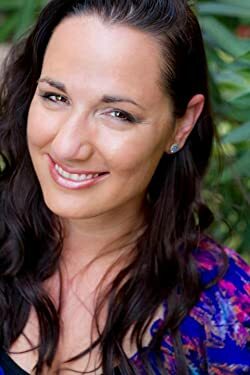 # 1 NEW YORK TIMES and USA TODAY Bestselling author Jennifer L. Armentrout lives in West Virginia. When she’s not hard at work writing, she spends her time reading, working out, watching zombie movies, and pretending to write. She shares her home with her husband, his K-9 partner named Diesel, and her hyper Jack Russell Loki. Her dreams of becoming an author started in algebra class, where she spent her time writing short stories. Therefore explains her dismal grades in math. Jennifer writes Young Adult Contemporary, Urban Fantasy/Paranormal, and Romance. She writes New Adult and Adult romance under the pen name J. Lynn.